>> Proline-Rich Polypeptides – A Natural Brain Immunity Booster? Proline-Rich Polypeptides – A Natural Brain Immunity Booster? Proline-Rich Polypeptides (PRP's) Have Been Scientifically Proven To Boost The Brain's Immunity and Support Cognitive Functioning, Let's Take A Closer Look. If you want to give your brain the edge when it comes to protecting it from bodily and systemic created inflammatory responses, boost your brain's immune system, and put out the fire of inflammation (and all the other nasty neurological side effects that come with it), then using Proline-Rich Polypeptides which have been found to do as much as reverse Alzheimer's in some human studies, could be an excellent means to achieving your goal. What are PRP's or Proline-Rich Polypeptides? Why Do You Want To Start Using PRP's? Proline Rich Peptides (PRP's) are also sometimes also known as colostrinin, and are a product which is extracted from colostrum, quite often from bovine colostrum. PRP's originally came across my path In my search for ways to decrease brain fog (which I was having serious issues with at the time) and maximise brain function. 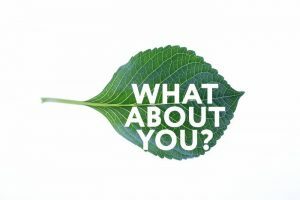 Part of that line of research led to this idea of decreasing inflammation all throughout the body, including in the brain, as a means of protecting the brain from the affects of aging, and the damage that inflammation can cause, and therefore increasing one's overall cognitive function and performance. We have a whole page dedicated to understanding colostrum and it's interaction with and use for healing leaky gut here. Also, we've looked at specific colostrum products which we feel (and have been advised on using by solid professionals) are an essential part of overcoming leaky gut syndrome and turning off the inflammatory response in the body and brain. When it comes to the difference between colostrum and Proline-Rich Polypeptides, basically colostrum is the source of PRP's. Within colostrum there are 100's of different components, 1 of them is a family of peptides (Peptides are tiny little proteins) that are high in Proline, and Proline is extremely good for you in many ways, and is the real power agent in this product which creates the amazing results. So in short, to reiterate, colostrum is where the PRP isolated product (like PRP sprays as discussed below) comes from. A PRP spray is a PRP rich mixture that's designed to be used orally. The effect of using this spray is that it will turn on the genes of the immune system outside the gut, (unlike colostrum) and has startlingly powerful affects on the health and functioning of the brain, and builds the brain's immunity like nothing else. In fact, there is even one study (link opens in a new window) which shows that in some cases the use of PRP sprays have been able to arrest and even reverse the effects of Alzheimer's disease in human studies! Maybe that will give you an idea of why we're so excited at healthvibed by the potential of this product. Here's another related study regarding the Alzheimer's disease treatment with PRP's. And just to really drive home the point of just how powerful this substance can be for cognitive function, here's one more study published on pubmed, focusing on the stabilizing affects of colostrinin on cognitive performance. Why Do YOU Want To Use PRP Sprays? 1) They want to provide their system with the best immune support they can, and they want to buffer themselves against illness and disease. In many cases those who are a bit older will want to use a PRP spray to give their body an edge in immune function. Obviously it's well known that as we age we naturally need more help in defending ourselves and keeping our immunity strong. Many older people get benefits from using PRP sprays to provide just those qualities. 2) To build the immune system of the brain, decrease neurological dysfunction, and protect against neurological decline with aging. As mentioned earlier, this was our reason behind wanting to test this product. It's also been used as a recommended additional supplement in the solving leaky gut tough case protocol, because of the intricate link between brain and gut health. There are a whole bunch of supplements in the program's recommended protocol that deal with the gut and healing leaky gut specifically, (like colostrum, and glutamine for example) but the PRP spray is uniquely added to the protocol to deal with the issue of brain inflammation and immunity, which for many people will probably need to be addressed as part of the overall healing plan. This is due to the increasingly well known fact that a sick gut will create a sick brain, and decreased mental functioning. Asthma Treatment. According to some research, both colostrum and PRP sprays can have a positive effect on lowering asthmatic symptoms. Coincidentally being an asthma sufferer myself, I came across this information later on, and as you might guess I was quite intrigued.According to the folk at sovereign laboratories because asthma is a disorder with strong ties to immune system function, the ability that proline rich polypeptides have to increase the ability of the immune system to function properly can work to have a downstream affect and lower asthmatic symptoms and reactions.I've yet to really be using this line of supplementation for a long enough time period to really make much of a conclusion as to whether or not it's affecting my asthma, but I'll be sure to update this page in the future with any conclusions I come to regarding this area of research. Allergy Alleviation. On a similar vein to how PRP's can apparently positively effect asthma symptoms, because of the strong link between allergies, allergic reactions and immune system function, it does make sense that supplementing with PRP spray could positively impact the symptoms of allergy suffering. This PRP spray has a pretty good response in terms of online feedback and is the one that we've decided to go with for a test run. It's not overly expensive, and we went with a trial run by ordering 2 bottles (a little under two month's supply to start with) from iHerb.com. It can also be found on amazon here. Numedica is another brand that we believe to be trustworthy and of high quality, based on the fact that it's recommended by Tom O'Bryan in the solving leaky gut course, and who we feel generally provided excellent information within the field of gut/brain health. Dr O'Bryan has built his credibility in the field of gut health and the brain connection, due to the fact that he specializes in gluten sensitivity, has helped many of his own patients throughout the years recover from many autoimmune diseases, and really understands the gut/brain connection, inflammation, and the affects of chronic oxidative stress. The reason we didn't go with this as our choice for trialing PRP Spray, is due to the fact that it's a little harder to source in our location right now. It can however be found on amazon here. Although I have yet to have any personal experience with this product, it's something that's literally about to be tested in my supplements regime. I'm excited by the research and by all that I've read and studied on this product up until this point. The general consensus being, as mentioned above, that PRP's have the means to switch off the inflammatory genes in the body and help to switch on the genes of the immune system, specifically in the brain. If this is true and it works, then I'll be getting much more excited, because if you're at all versed in this area, you know that inflammation is one of the key bio-markers of decline in health, rapid aging, and basically just not getting the best out of your health. I will definitely be writing more about this topic in the future, as the potential of this supplement so far seems highly promising. Have You Used PRP Sprays, What Was Your Take? If you have used PRP sprays personally for any decent length of time and have been able to see any sort of results, both positive and negative then we'd love to hear from you in the comments and discussion below! Did you notice any long term immune strengthening properties from using this supplementation for a minimum of 2-3 months? Also please feel free to send us any feedback privately on anything about the site, using this page here. Health Vibed is a great site, full of vital & useful information to take control of your own health. I would highly recommend this site to anyone seeking alternatives to orthodox treatments, on a number of levels. Nick, thanks for sharing your own experience on this site & providing others with a road map to good health. I hadn’t heard of PRPs before and as a result I am now more informed thanks to your article. I suffer from leaky gut myself and there are so many different products that are supposed to help that I wonder whether you can take too many of them at the same time. I think L-Glutamine is essential and I also take Great Lakes Gelatin. Lots of articles say that bone broth is the best thing for leaky gut but I prefer to take gelatin powder as it’s hard to source good quality bones from grass fed cattle. Another highly informative article Nick, thank you! I have always considered myself lucky to have a great immune system but have noticed things changing a bit as I age. This spray sounds like something I should add to my arsenal. I’ve never considered using a spray before, so thanks for the useful information and I’m definitely going to give it a try. I’ve been taking brain boost tablets on and off for a year now but I think a spray is much more convenient. Great article! 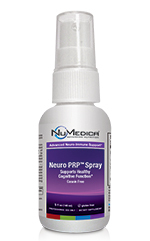 I’ve heard about nurotropics – is PRP in this same category? I hadn’t even heard about PRP’s. Thanks so much for compiling all this great information. I’m totally intrigued and interested in trying this out. Thanks for sharing! Totally amazing product Nick! I shared this link with a friend on facebook. Her dad has alzheimers disease. What a promising easy way to be pro-active with brain function and enhance immunity to ageing. I have been reading and studying on Nootropics, so wonder what you know about them for brain function and cognition. Brain fog is a real problem with so many of us! I will be trialing this as well so will report back to you!